As soon as I saw this palette on Instagram I immediately wanted to get my hands on it. I mean just look at it, it's gorgeous. I made my order on the day it was released and even after all the drama, I feel I made the right decision. I have created a video review of this palette which you can find the link to below, but I also wanted to provide an update and add more detail about my transaction with ABH and my overall thoughts a week on from my review. I love the look of this palette. From the packaging to the shades themselves, it's stunning. The grungy shades really give a different vibe to any other palette that I own. Regardless of the fall out that this palette has - Modern Renaissance is the same - every shade is extremely pigmented. I played around with this palette and have created a variety of looks. My personal favourite is the one I posted on my Instagram. I created this look using Dawn, Roxy, All Star and Adorn. I am very much a warm tone girl, but I have been really inspired to break out of my comfort zone to explore new ideas. I am not a makeup artist and I can only imagine the wonderful things that a makeup artist could create with this palette. This palette isn't perfect. As I mentioned before, there is some fall out during application. Some shades do not mix well together and I would recommend going in with a light hand. I'm not sure if it's just me, but I don't tend to mix a lot of colours when creating an eye look that I like. My style and look is very simple and I think that you can really create a gorgeous look with just three shades. You can watch my video here. I would also recommend watching Stephanie Nicole's review which is the best breakdown and advice that I could find. I hope you find this post useful! 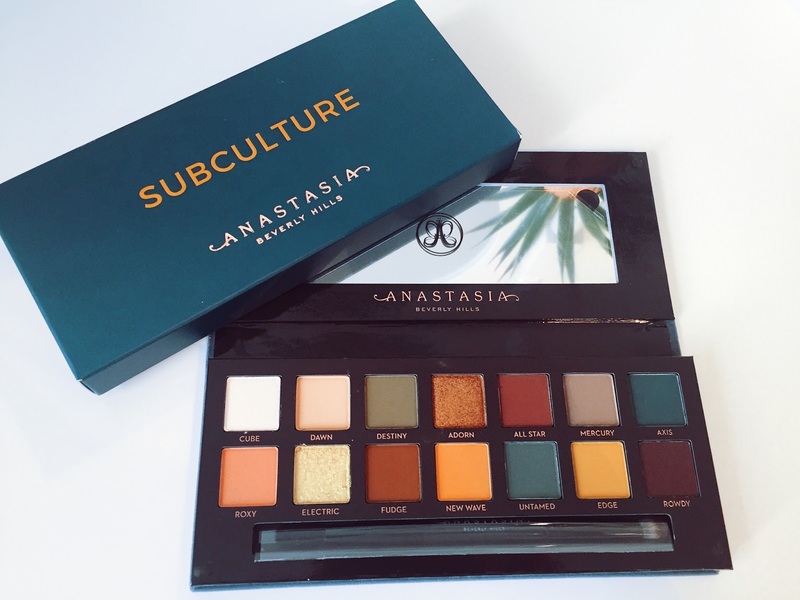 I would rate the ABH Subculture palette a 7/10. I felt the same! If you go in with a light hand and have a solid idea of what you want to acheive this palette is amazing! So glad it worked out for you!